I was going to write a review for this, the favourite of my rum shelf, but decided to take the lazy option. Since Nick Wykes of IPBartenders has already done such a fabulous job of writing a beautiful tasting note already, I'm just going to cut and paste it here! Sometimes it's just a joy to be sitting here doing this, today is one of those days. 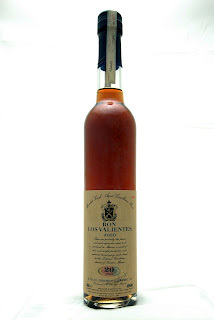 I have in my maw a healthy slug of Ron Los Valientes 20 year old, charged as I am with telling you about it. From within the province of Veracruz in eastern Mexico, the Villaneuva family has been producing fine spirits for three generations. Veracruz, and specifically the town of Cordoba, has been famous for it's sugar cane for 500 years and it's both the juice and molasses from this local cane that goes into the small batch production of the Los Valientes range. The slow fermented juice from the Veracruz cane is double distilled in pot-stills, with only the corazon taken from the second distillation, this is then blended with column distilled, fast fermented, molasses from the same crop. The 70:30 juice to molasses ratio should tell you something of the delights that await. The 20 year old, numbered and signed by the cellar master, is a deep copper red number with soft, distinct legs that seem to ooze down the glass where other spirits simply adhere to the laws of gravity. A nose of sweet, mellow pungency, rich in oily phenols, hints at dried fruits, treacle, chocolate and nutmeg. The extended barrel ageing on the Caribbean coast is reminisced with a strong liquorice backbone and nutty char. 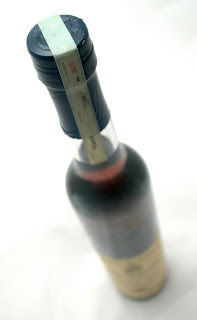 If the nose is a valiant one, a brave fighter of 1910, then the palate is a different animal altogether. 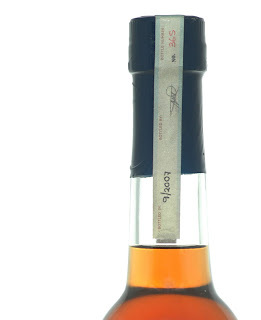 The 43% abv is immediately evident as an intensely unctuous and spirited spicy clove and bitter almond flavour dominates a medium sweet body. It's a sharp bite that drives a complex character and the Greek is a big fan of adding a splash of spring water to placate the eugenol driven spice. Uprising quelled there are beautiful dark chocolate and hazelnut notes to savour. The surprisingly restrained and refined palate is thanks to a c ounter-intuitive approach to ageing whereby much larger, 180 gallon, white oak barrels are used to avoid exaggerating the ageing influence and afford the finished spirit a more sophisticated, lighter, dare I say ethereal quality than many Caribbean aged counterparts. There's a strong kick, as you might expect, from Los Valientes, but it's balanced and well structured, perhaps a result of the charcoal, cotton and compacted cellulose filtration and almost certainly courtesy of the exclusive selection of the beating Mexican heart of the cane juice distillate.